If you added all of these women together, their theological credentials wouldn’t cover a napkin. Their accumulative doctrinal teaching has all the stability of a Midol commercial. 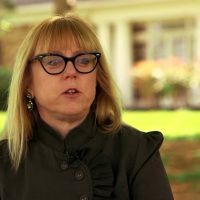 In a Luke 6:39 scenario, Karen Swallow Prior and other wildly unorthodox women are creating a feminist ‘guild’ to help women move toward Biblical orthodoxy. When they’re not orthodox themselves, one wonders what male pastor will help them do that. Karen Swallow Prior is a self-pronounced feminist (she calls herself that), an animal rights activist who thinks guns are only for those who live in nice neighborhoods, wants an end to modern animal husbandry even if it “damns” our economy, thinks pets go to Heaven, finds dog-fighting more objectionable than abortion and defends abortion doctors from accusations of murder. She is starting the 2 Timothy 3:6 group with the wife of Critical Race Theorist and Cultural Marxist, Ron Burns, who goes by his Black Nationalist name (rather than his given name), Thabiti Anyabwile. Kristie Anyabwile is married to Burns, who has repeatedly shown disrespect and dishonor to the nation’s law enforcement, which makes sense given his own family’s history of anti-police violence.